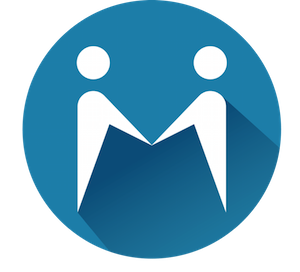 Moiety App is bringing 'family-tech' into the digital age with the development of a simple, free and modern solution to the complications associated with arranging co-parenting schedules. Moiety's patent pending scheduling technology allows users to share only the parts of their calendar to they people that they want them to see through gesturing commands, creating unlimited scheduling possibilities - all in secure and neutral environment. Moiety's initial release is planned for this September, yet it already has a very significant following on social media (120,000+ fans). As blended families continue to become more prevalent in not only the United States - but for the rest of the world, the demand for highly innovative and adaptable digital solutions to support these evolving family structures are also rising. Moiety is one of the first movers in committing to a completely digital ecosystem for almost any family structure and consider themselves pioneers in the now coined phrase - 'family-tech' space. Moiety has strategic plans to develop cognitive intelligent white label solutions for family mediators, lawyers and the family court system.